What is the most popular chess video on Youtube? The last 'Big' tournament of 2012, the London Chess Classic starts tomorrow (1st December). Like last year it is a 9 player round robin, with the 'Bye' player roped in to commentary duties for their 'rest day'. One change from last year is the reduction in home (English) players from 4 to 3, with GM Nigel Short moving into the commentators seat on a full time basis. As with previous editions of the tournament the field is a very strong won. Magnus Carlsen and Lev Aronian top the field, with last years winner Vladimir Kramnik and Viswanathan Anand adding World Champion class. Judit Polgar and Hikaru Nakamura complete the overseas contingent, with Michael Adams, Luke McShane and Gawain Jones turning out for the host country. In terms of the winner, I am going to make my usual, safe prediction, and go for Carlsen. As an added omen, today is his 22nd birthday, so hopefully this will put him in a good frame of mind. Luke for McShane to play the maximum number of moves, with Aronian playing the most interesting chess. However I sense one thing will change this year, and we might see a reinvigorated Anand, eschewing his usual quota of draws. (NB I am basing this on nothing but gut feeling). Along side the Classic are a number of side events, including a big Open tournament. Looking at the field I have spotted a few young Australian players including Justin Tan, Ari Dale and WIM Emma Guo. At one stage Guo was slated to play in the Women's Invitational, but she was 2 rating points short of the level needed to allow the tournament to offer norms. The official tournament website is http://www.londonchessclassic.com/ with all the usual tournament goodies. However the start time for the rounds is 1400 GMT which translates into 1am Canberra time. So I suspect the only live coverage I'm likely to see are the tail end of games involving Luke McShane. I was listening to an interview on the radio this evening concerning Google Glasses, a project I have been interested in for a while. During the interview, the Google spokesman mentioned that one potential use is to look at sudoku puzzle, and then be given the option to retrieve the solution. Clearly if the project can do this, then applying the same technology to chess games should not be far behind. 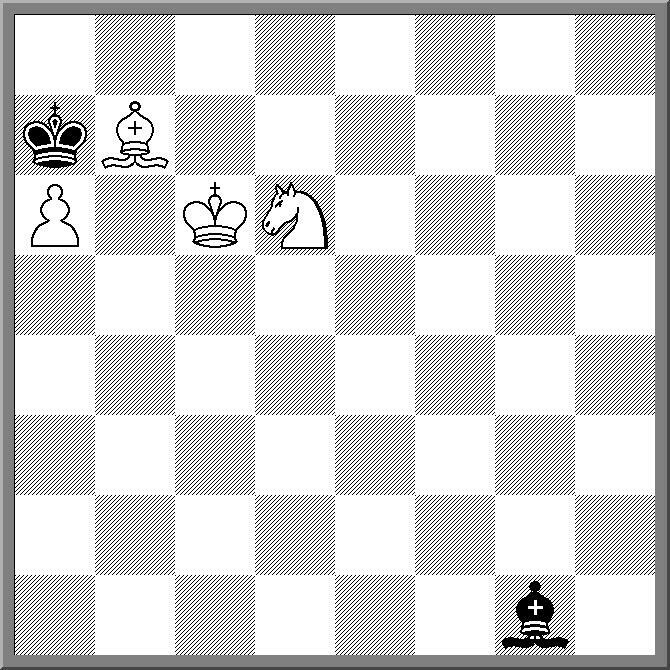 A quick glance at the position on the board, and the best move gets whispered in you ear moments later! No need to hide a phone in your pocket, or make a suspicious number of trips to the toilet. Of course such a cheating strategy is not as easy as it sounds. Having seen a few prototypes on the web, the design is a bit of a give away. The tiny camera used to record the scene in front of you is not tiny enough, so it should be pretty clear if someone is wearing them. Also you might be able to see random bits of text scrolling across the glasses, and the hand gestures used as part of the control interface run the risk of knocking the pieces off the board. But as an exercise I would still be interested in seeing chess applications on the finished product. Quite possibly a Google sponsored 'Centaur' (Human+Computer) tournament would be a good PR stunt. I've been looking at the games from the FIDE Grand Prix in Tashkent, and found the following one quite interesting. Watching it in real time I was impressed by the cut and thrust nature of it, as both sides seems happy to take some big swings at each other. When I went over it later, there was another interesting feature to it. After 10 ... Qh4 the game seems to be the exclusive preserve of the 2400+ brigade. While there have only been 5 games to reach this position (in my database anyway), 4 of them were 2600+ v 2600+ match ups. Given the sharp nature of the play that result from this variation, it is probably no surprise. 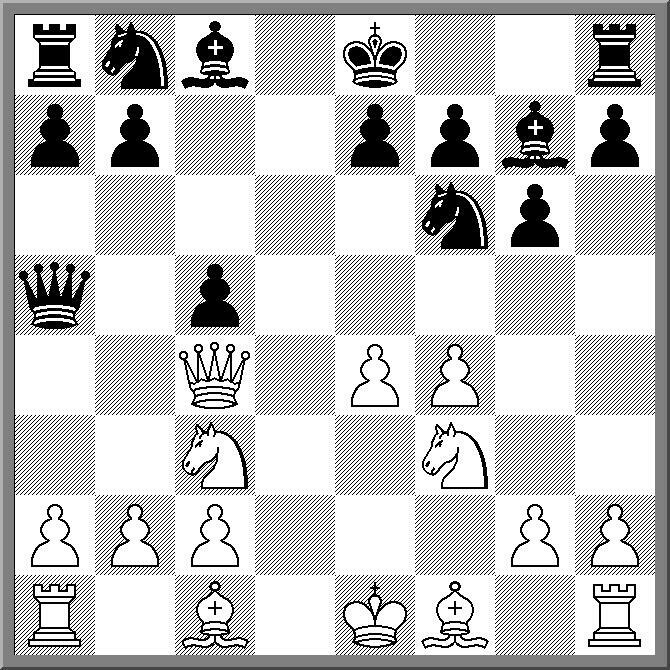 Just as 1.e4 e5 2.Qh5 is the preserve of the beginner set (Nakamura notwithstanding), there should be some openings that require an advanced drivers licence just to play. The 2012 ACT Transfer Championship was won by a team called "Mmm! Pokemon". They were actually the brother and sister team of Allen and Megan Setiabudi, who even went as far as dressing up as Ash Catchem, and Pikachu (with tail and all). This may have intimidated the opposition, as they scored a perfect 11/11 to finish 2 points clear of second placed "Uncle Michael". At the prize giving Allen "Pikachu" Setiabudi's speech consisted of 'Pika, Pika, Pikachu'. While the games were interesting and hard fought, a number of teams have a way to go before mastering Transfer. On the lower boards, playing too much like 'normal' chess was the big sin, while at the top, and obsession with clock watching crippled some of the teams. I can understand 'stalling' when ahead by 60 seconds on the clock, but telling your partner not to move when the time difference is under 5 seconds is dicing with death. But as with anything, the more you play, the more you should understand. As I explained at the start of the tournament, if today's chess doesn't go your way, there is still another 50 years of transfer to look forward to. Street Chess saw a couple of games today, where one player was guilty of 'going off too soon' (also known as 'celebrating too early'). The diagram shows a final round game between Wenlin Yin and Yijun Zhang, after 8 moves of a Pirc. Zhang thought he saw a tactical trick and uncorked the TN 8. ... Nxe4? What made this move extra special was he pre-announced it with "Check this out" and followed it up with "Bang!" 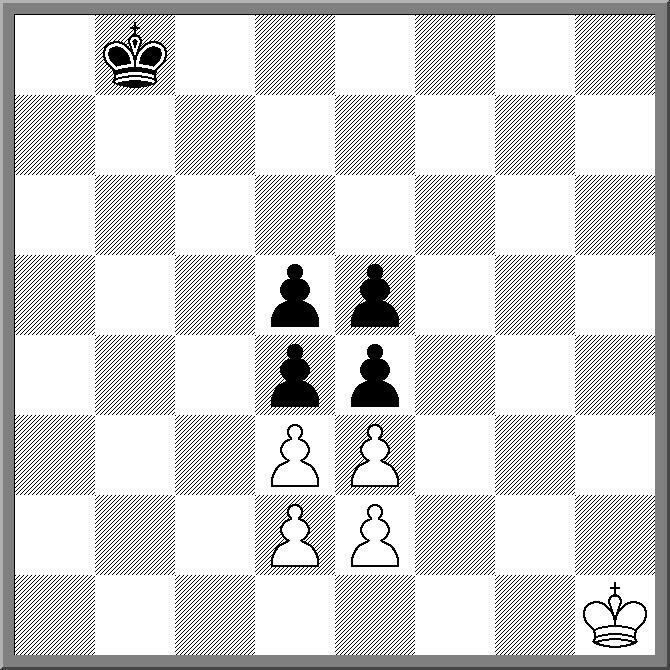 as he took the pawn. The early celebration turned to dismay when his opponent played 9.Qb5+, forcing off queens and breaking the pin of the knight. No matter how Black defended, losing a piece was going to be the end result. 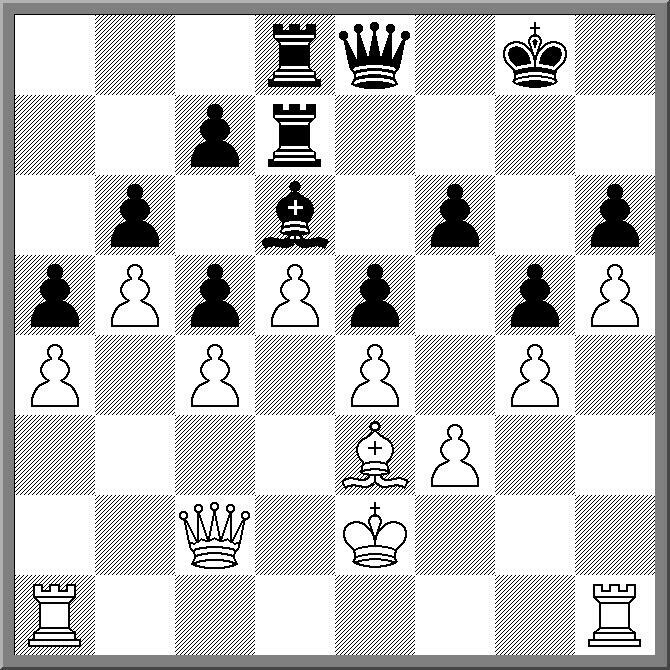 (For reference the game started with 1.e4 d6 2.d4 Nf6 3.Nc3 g6 4.f4 Bg7 5.Nf3 c5 6.dxc5 Qa5 7.Qd4 dxc5 8.Qc4 Nxe4?? 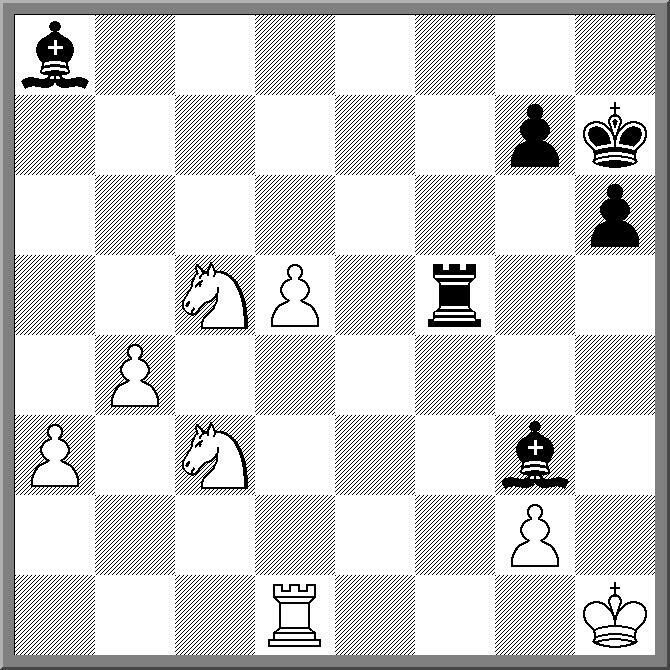 9.Qb5+ Qxb5 10.Bxb5+ Bd7 11.Bxd7 Nxd7 12.Nxe4 and White won from here). The other game was between Ian Hosking and Victor Braguine. 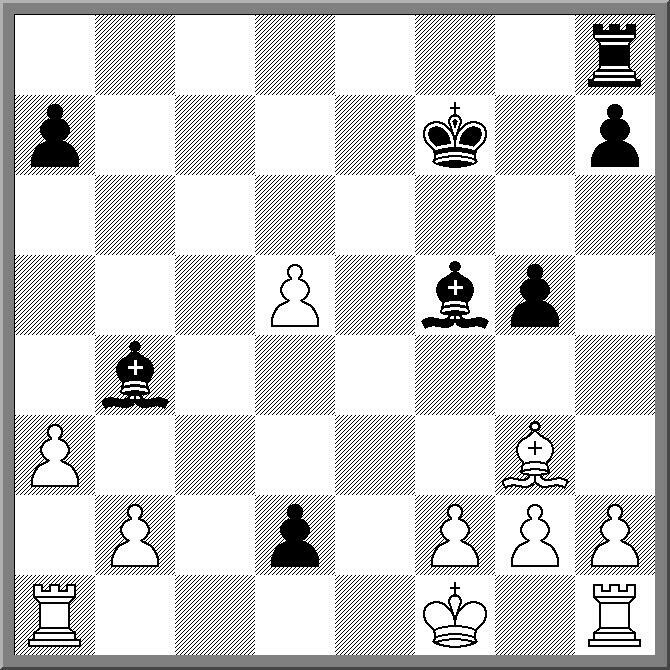 Braguine (Black) had been attacking, but the position reduced to Q+B v Q+N and various pawns. Braguine grabbed a pawn, allowing his knight to be captured, and after giving a spite check, met by a king move, extended his hand. His opponent assumed it was a resignation (as I did I while watching the game). Suddenly Braguine picked up his Queen and gave another check, pushing the clock. When Ian asked him what he was doing he said "Sorry, I thought I had mated you". The game continued, and despite being down a piece, Braguine pulled off a later swindle to win the game. (NB Hosking did not complain or ask for a ruling during or after the game. Clearly Braguine did not intend to resign, or even 'declare he resigned', so I would not have changed the result if asked). From the 2nd round of the 2012 Commonwealth Championship. FM Junta Ikeda has just played Kh7 in this (lost) position. So how did White manage to lose from here? Blogging as been a bit haphazard this week, as I am plagued with technical issues courtesy of my ISP. Seems that their DNS servers keep dropping out, meaning my connection to the Internet keeps going with it. As I result I'm spending more time trying to work around this than actually looking at chess issues. Hopefully it will be fixed shortly, but until then, I'll try and do my best. Another event about to kick off is the 2012 Commonwealth Championship. It is being held in Chennai, India, with play due to start tomorrow. As with most editions of the Championship the field consists largely of local players (around 400 at last count) , and a smaller number of international players (about 50). As a number of these players aren't from Commonwealth countries, the title will not necessarily go to the tournament winner, but to the highest placed Commonwealth player. Australia is represented by two players, FM Junta Ikeda, and Karthik Gurunathan. Top seed is Sergei Tiviakov (NED), with the top 10 seeds all non-commonwealth players! The tournament website is here, and there is the promise of live games. Today is the opening day of the Tashkent Grand Prix, although the action does not start until tomorrow. Top seed is Sergey Karjakin, with Fabiano Caruana close behind. Despite being 4th seed, Gata Kamsky is only in the tournament as a fill in for Vugar Gashimov, and is not part of the regular GP series. If you are planning on following the games online, I'm guessing that they will start at 9pm Canberra time. (The website doesn't seem to have round times listed, so I'm assuming a 3pm local time start). Australia's biggest Transfer Chess tournament is taking place this weekend in Canberra. Organised by the ACT Junior Chess League, this event normally attracts a 60+ player field, with a number of strong players taking part. While organised by the Junior Chess League it is open to players of all ages, and a number of adult players take the opportunity to join in. Cost: $20 per team or $10 for individuals (just turn up and a partner will be found). Free Pizza for all contestants! IM Moulthun Ly coasted to the finish of the 2012 Vikings Weekender with a quick draw with Donato Mallari in round 7. Having won is first 6 games Ly was content to split the point with Mallari, having already won the event with a round to spare. IM George Xie recovered from his 6th round loss with a win over Kishore Sreetheran to take outright second, after a couple of other results went his way. There was a 4 way tie for third, with Mallari being joined on 5 points by Anton Smirnov, Emma Guo, and Allen Setiabudi (via an upset win over IM Vladimir Smirnov). In the Under 1600 tournament, Aelfric Gardiner-Garden (rated 1058!) finished on 6/7 to take outright first. In second place were Ryan Keeble and Bazli Karratyattil on 5.5. Overall the organisers were pleased with the tournament, with the move to two sections resulting in an increase in entries from the previous year. The new Under 1600 section also provided the opportunity for some of the younger juniors in Canberra to experience there first non-junior weekender, while the Open section provided a stern test for the older juniors. A full crosstable of both events is available here. IM Moulthun Ly has an insurmountable lead in the 2012 Vikeings Weekender, after defeating IM George Xie in round 6. Ly won a couple of pawns in a rook and pawn ending, and killed off any tricks that Xie might have had, to extend his lead to 1.5 points. IM Vladimir Smirnov defeated Michael Wei to get to 4.5, as did Kishore Sretheran by drawinf with WIM Emma Guo, and Donato Mallari, who beat William Booth. The final round sees Mallari play Ly, Xie play Sreetheran, while Smirnov plays Allen Setiabudi. In the Minor (Under 1600), Aelfric Gardiener-Garden has a half point lead over Bazli Karratyattil, Cam Cunningham, Tim Pearce, and Ryan Keeble. The 6th round clash beetween Karratyattil and Gardiner-Garden had an amusing finish when Karratyattil reacted to his opponent queening a pawn by suddenly putting Gardiner-Garden in check and exclaiming 'CHECKMATE!'. Sadly he was mistaken, as the snickering of the spectators revealed. Gardiner-Garden composed himself and went to on to win easily. IM Moulthun Ly hung onto his lead in the 2012 Vikings Weekender, with a win over IM Vladimir Smirnov. IM George Xie scored his 4th staright win to remain in striking distance on 4.5, while Kishore Sreetheran (who took a second half point bye) is the only player on 4. Ly and Xie are currently playing in round 6, while Sreetheran and WIM Emma Guo are on the second board. IM Moulthun Ly is the outright leader of the 2012 Vikings Weekender after finishing the day with 4 straight wins. Close behind on 3.5 IM Vladimir Smirnov, IM George Xie, and Kishore Sreetheran, who all had 3 wins and a half point bye (at various times). Tomorrows round see Ly and Smirnov meet on the top board, while Xie plays Canberra player Miles Patterson, who decided to enter the tournament when he 'could not find anything better to do on the weekend'. In the Minor (Under 1600) tournament, top seed Ryan Keeble shares the lead with Bazli Karratyattil. These meet tomorrow in a game that will go a long way to determining first place. 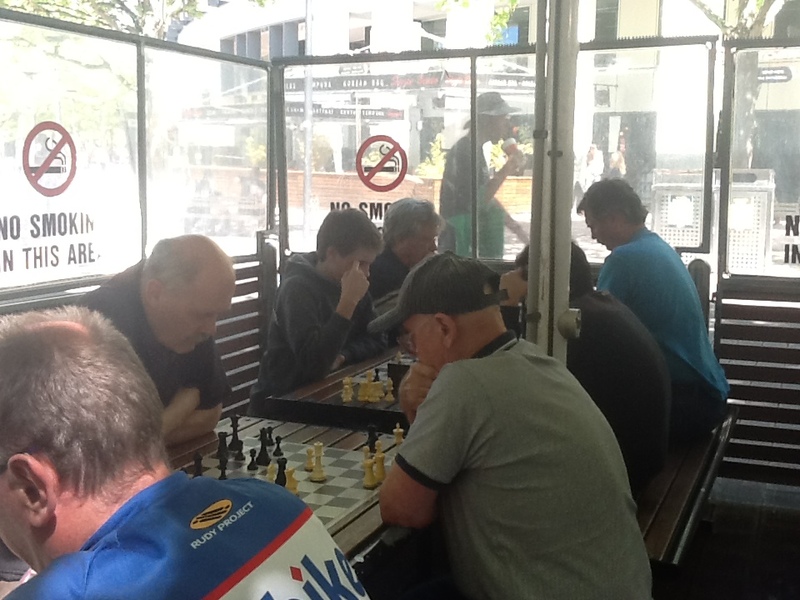 Cross tables for both events are available at the ANU Chess Club website. Ryan Keeble is the outright leader of the Minor on 3/3, followed by Lachlan Smart and Bazli Karratyattil on 2.5. The lower boards of this tournament saw a clash between Karl Galli and Chong Wang, where Wang managed to play an 'accidental' brilliancy. Getting his queen trapped, Wang decided to lay for the attack and was rewarded when he mated Galli's king in the centre of the board. However post game analysis showed that rather than getting his queen trapped, it was instead a brilliant sacrifice, and he had been winning all along! The top 3 seeds all won their second round games in the 2012 Vikings Weekender. IM Moulthun Ly and IM Vladimir Smirnov are both on 2/2, while IM George Xie is on 1.5, as a consequence of a half point bye in the first round. Local players Ian Rout, Wenlin Yin and Harry Press are also on 2 points, courtesy of second round wins. The board 3 clash between Harry Press and Allen Setiabudi saw a bizarre finish, with Press having 2 queens, a rook and a knight, versus a queen and 2 pieces, but trying not to get mated. 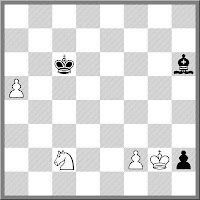 Press gave up one queen, and when Setiabudi moved his king to the wrong square, was able to safely win material, and the game. The shift to 2 sections for the Vikings Weekender has proved successful, with an increase in entries over last year. The other effect of the split was that the first round saw a number of upsets and semi-upsets in both tournaments. In the Open section, Anton Smirnov drew with Fred Litchfield, Micheal Wei with Victor Braguine, and Donato Mallari with Nick Beare, while Brian Butler beat Andrey Bliznyuk. Complicating the second round pairings were a number of players taking half point byes in the first round, so it may take a while before a clear favourite emerges. However second seed IM Moulthun Ly did his bit to stay out in front, with a nice win over William Booth. 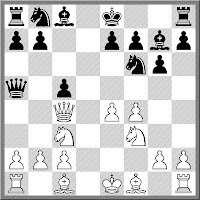 Booth did not meet the Bc4 line in the Kings Gambit with the right amount of aggression, and after Nxf7, the attack crashed through. Only a couple of days to go before the 2012 Vikings Weekender. This year sees an Open and Under 1600 event, and the Open is already looking quite strong. 3 IM's and a WIM have already entered, with 25% of the field over 2000 on the ACF Rating List. Surprisingly the Under 1600 has a smaller field (31 v 19), especially given the $500 first prize for this event. There is still time to enter either event, with the all the details at http://tinyurl.com/2012-Vikings. While entries will be taken on the morning of the event, early entries are appreciated. As an arbiter it can be a little tricky when the pairings come up with parent v child or sibling v sibling. On occasion I've had requests from players that they not be paired with other family members, although I usually have to explain why such requests are not granted. But while I can see why such pairings can make things a little difficult, I feel that it is something that is to be expected from time to time. In my case my son and I have played in a number of tournaments together, and a Press v Press pairing is always on the cards. However, this has mainly happened in Blitz/Rapid events (where he now has the upper hand), and very rarely at longer time controls. In fact the total number of long time control games we have played is 2, with one of those happening this very evening. Sadly for him, and to a degree myself, I turned around a few weeks of poor form to score a win. 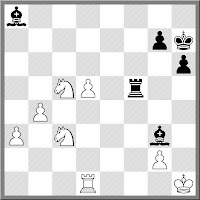 The opening was quite sharp, and followed theory for around 16 moves. 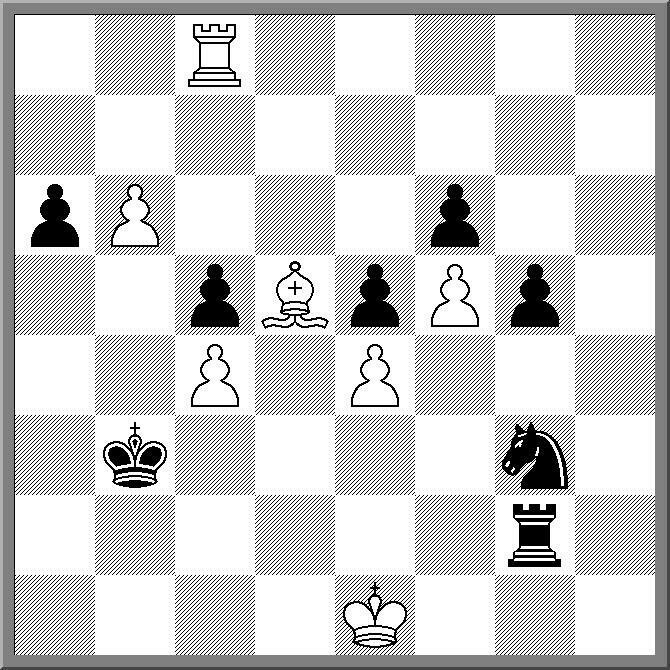 17.Nf4 was new (17.Qh3 had been played before), but once my pawn got to f6, the writing was on the wall. How do you know when you are getting better at chess? I posed the title to this post to a group of junior players I coach this morning. As it is a school group, as opposed to a 'chess' group, answers like 'your rating goes up' weren't the most obvious ones. 'You win more' did come at the top of list, but 'you make less mistakes', and 'you stop losing pieces' were also there. But the answer I like the most actually came from my wife when I discussed the topic with her later. 'When you enjoy the game more'. The following very quick draw took place in the current Australia/New Zealand v Germany Friendly Match currently taking place on the ICCF webserver. It has all the ingredients of a 'good' draw, in that happens fairly quickly, it involves a queen sacrifice, and ends in a repetition. Somewhat surprisingly I only have on previous instance of this game in my database. As an exercise, I decided to track down the most popular chess video on Youtube. The first part of this quest was quite easy, as I simply typed "chess" in the search box. Turns out there are approximately 185,000 videos with the word "chess" in the title on youtube. But after that my search became somewhat harder. While I can get lots of chess videos, I don't seem to be able to order them by number of views. So the first couple of pages were a mixture of heavily viewed videos (100,000+), and some more recent additions (7,000 views). So in the absence of being able to do this scientifically I've had to use Eyeball 1.0 to make a guess. Without spending too much time on the process I'm suggesting the "Speed Chess Game" video, with 1.7 million views is a front runner. 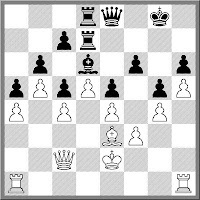 It is about 6 years old and showed a bullet game between Max Dlugy and Hikaru Nakamura. I'll embed it here if you have not seen it already. Driving to work this morning I was listening to a preview of the 1st Cricket Test between Australia and South Africa, and one of the commentators used the term "chess-piecing". He said that Australia had engaged in 'some chess-piecing' before the match, which I assumed meant arranging the team to match the strengths of the South Africans. Nonetheless it is not a term I have ever heard before. Then this evening I tried to catch a little bit of The Daily Show, to see the wash up from the US Presidential Election. However the bit I did catch was an interview with the director of 'Brooklyn Castle' which is a new documentary on a very successful chess chess team from a school in New York. The link to the episode is here, although the video does not work here in Australia. Then finally, I caught a repeat of an episode of QI, and one of the topics of discussion was the loss by Gary Kasparov to Deep Blue. "Poor Gary" was Stephen Fry's parting comment. The 2012 World Youth Championship is about to start in Maribor, Slovenia. Australia has a small squad of players, competing in the various age groups. Yi Liu is in the Under 16 event, while Ari Dale did very well to travel from the Melbourne Cup Weekender to Slovenia in the space of a couple of days. Zachary Lo is in the Under 14 event, alongside Ari, while the Willathgamuwa brothers are both in the Under 10's. Sophie Davis is the only female representative, and she is in the Under 8 girls. There are live games from the tournaments, although it looks like the top 10 boards from each. Based on the difference in time zones, the rounds seem to start at the slightly awkward time of 1am Canberra time. A tactical exercise from a game I played the other day. While I eventually won from this position, I missed the instant crusher in this position. 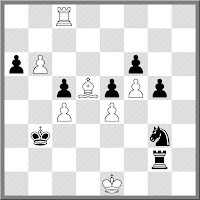 It is Black to play and win. 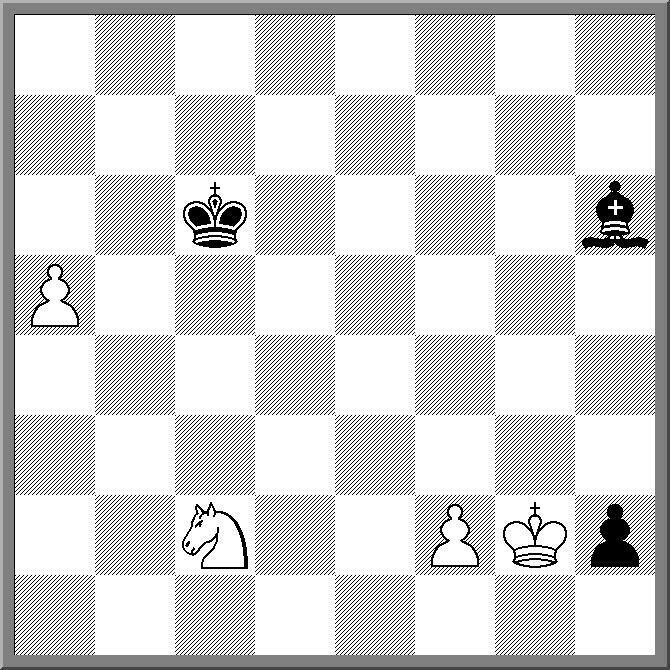 While the US Presidential Election has very little to do with chess, it does have an odd chess connection for me. This years election will be the first since 1996 where I have been in Australia to see the count. The previous 3 elections have all coincided with trips to Chess Olympiads, although in 2004 and 2008 I was in transit and so followed the count on my brothers canal boat in Gloucester. As for the predicted outcome I'm going to take the radical approach of following the math, which has Barack Obama on track to be re-elected. If you want to delve deeply into the numbers game behind the election, then the FiveThirtyEight blog is one of the best places to go. On the other hand, if you want to watch heads explode on live TV, then Fox News in around 15 hours is a must see. I've been out of Computer Chess Programming for quite a while, as other chess activities have taken a higher priority. As a result I've probably missed some recent developments in the field, which makes getting back into it a little difficult. But a message from Chris Skulte concerning a game played by the Houdini chess program, resulted in me discovering the Chess Programming Wiki. 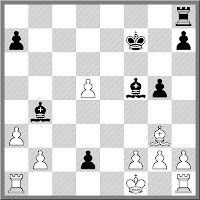 While I've frequented computer chess bulletin boards in the past, using a wiki to cover various computer chess programming techniques seems to work a lot better (For one you don't get the posturing and flaming that goes on in most bulletin boards). The board seems to cover the important topics pretty well, especially in the provision of example code for various programming ideas. As a programmer this is important, as often your best code is in fact someone else's code! So if you are looking to write a chess program, or like me, resurrect a dormant project, the a visit to the Chess Programming Wiki should be high on the to-do list. It must be slightly unusual to play in a tournament named after yourself, but Anatoly Karpov went one better by actually winning a tournament that carried his name. It was the Cap D'Agde 'Le Trophee Anatoly Karpov' Rapid event, and Karpov defeated Vasilly Ivanchuk in the final. It was an 8 player KO, with a mix of male and female players, with a healthy dose of leading French players. The first 2 games of the final were split 1-1, and Karpov eventually won the tiebreak 4.5-3.5 with a win on time in the final game. Here is one of the games from earlier in the final. Two chess related news items caught my eye today. The first concerns a new development in Robotic Chess from the University of Texas Dallas. They have built a robotic chess player, but not in the way you might think. Rather than have a robotic arm move normal size pieces, they use a large chess board and have mounted the pieces on mobile robots. Check out the story for more details and picture. The second is from Jakarta, where they have just held a tournament for gravediggers! And it seems a popular pastime for gravediggers (or maybe they have a lot of them) as 160 players entered the two day event. More details here. The website for the 2013 O2C Doeberl Cup is now online. The tournament has a prize pool in excess of $18,000 with $12,350 on offer in the Premier. All the tournament details are available on the website, and entries are already being accepted. As Easter is early next year (28th March is the start date for the Premier), entering early is advised. When I set up this blog, my first thought was to call it '64 Squares'. But (IIRC) that name was already taken, so I chose 'Chessexpress' instead, as it contained one obvious tie-in (my surname), as well as a couple of others (eg the double meaning for 'express'). There was even an unintended bonus a couple of years later, when a Canberra Times sub-editor decided to break the title of the blog in 'ches' and 'sexpress' in an Ian Rogers chess column. But it is kind of an obvious name, so it is no surprise that their are other 'Chessexpress' sites on the web. The one that I was aware of very early on was a chess retailer from the US, www.chessexpress.com. As far as I know they have no problem with the title of this blog, as we have co-existed for a number of years. Oddly enough there is not one, but two Chessexpress websites in Canada. There is 'The Chess Express' which is a junior coaching organisation involving Hal Bond, who is a friend of mine from various Olympiads. There is also 'Chess Express Ratings' which is a commercial rating organisation in Canada. As far as I know the two are not connected. And finally, there is even a chess event that carries the Chess Express name. It is the 'Trans Europe Chess Express' and fittingly it is organised by Deutsche Bahn AG (German Railways). This years event was held inside the Potsdam Railway station, and attracted a strong field including Karpov, Short, Timman and Huebner.